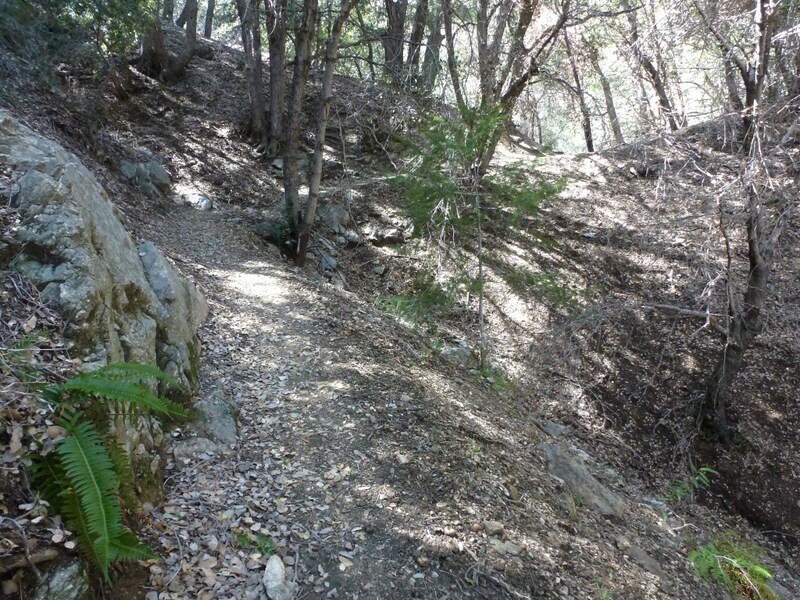 The Gabrieleno National Recreation Trail is about 28 miles long in its entirety. Importantly, a short portion of the trail is still closed due to the Station Fire from Paul Little to the junction with the Bear Canyon Trail. For the second time I hiked a short portion of the Gabrieleno trail from Red Box to the Valley Forge Campground. This time I hiked with family and friends on a hot day and it was great to have trees blocking the sun for a large part of the trek. Starting from the trailhead at Red Box, the trail descends until reaching the Valley Forge Campground. Most of the way the grade isn’t very steep. 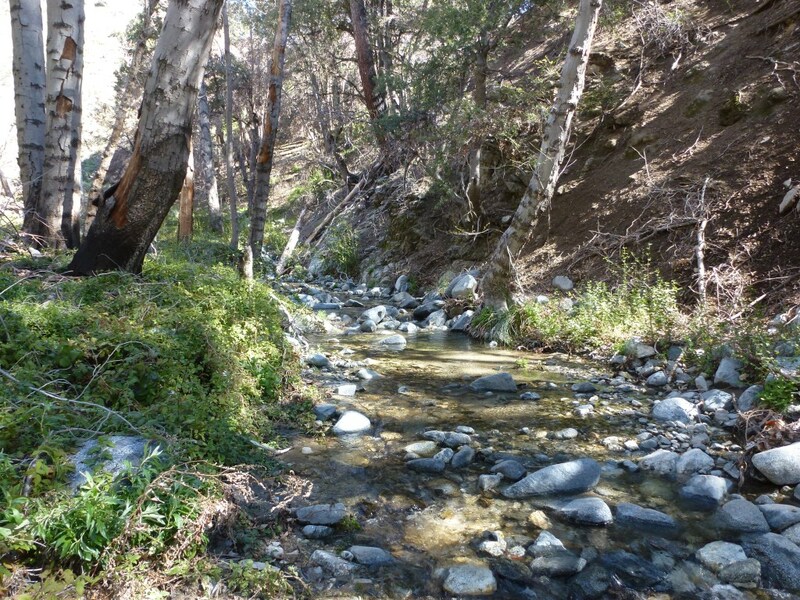 The trail essentially follows the San Gabriel River. The river is often still visible during the brief periods when the trail leads away from it for a while. The trail also crosses the river a number of times, but the river isn’t deep enough for that to be a problem. Fortunately, at times when there is no shade the trail is often by the river. There were many lizards roaming around on this April day. 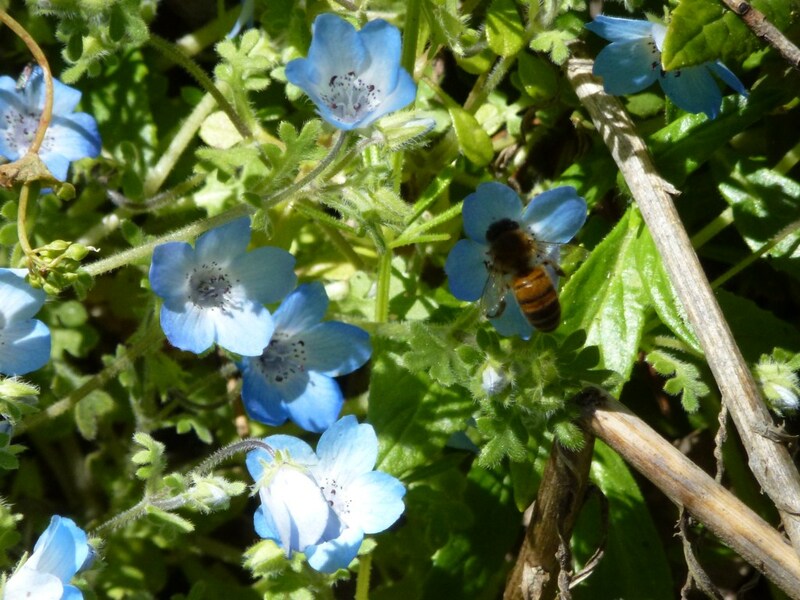 Flowers were blooming and it was great to see the bees working their magic. It’s worth checking out the Haramokngna American Indian Cultural Center located at the parking area for the trailhead. There are some nice artifacts there and volunteers that can tell you about the history of the area. They have several events planned through October including a Hike-A-Thon to raise money for the center on June 2 (National Trails Day). 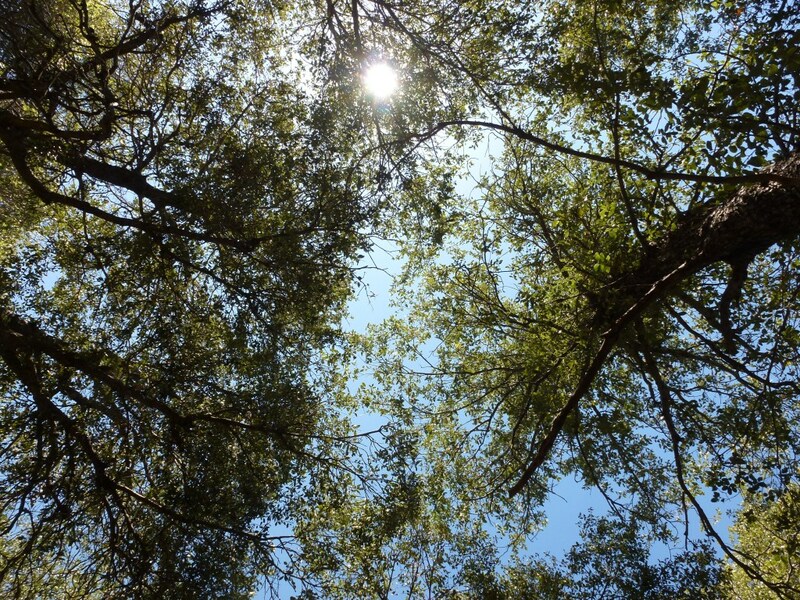 This entry was posted in Hike, Nature and tagged Angeles Forest, Gabrieleno Trail, Haramokngna American Indian Cultural Center, Hiking, Red Box, San Gabriel River, Valley Forge Campground, Water by Kyle Kuns. Bookmark the permalink. Well done Kyle. 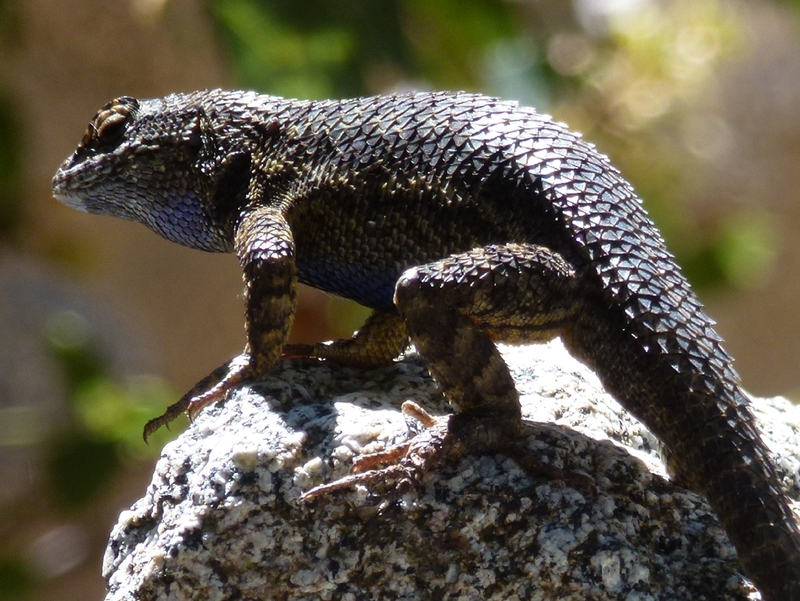 The lizard pics were very good, you’ve got a knack for wildlife photography.